As industry jargon goes, "eating your own dogfood" does little for the appetite, but it's impossible to deny our devotion to it. Every day we use Asana to track the work that goes into designing our product, keeping our employees happy, and sharing our story with the world. Asana runs on Asana. For the Workstyle team, all this dogfooding means we're thinking about self-improvement and process all year long. And our continuous research about the culture and future of work makes us introspective about Asana's mission and how we can achieve it. Which brings us to January, when water cooler talk is heavy with intentions for 2016. If you're like us, you're energized by this kind of thinking. But this year, we want to talk about something slightly different. As interested as we are about goals and resolutions, we're just as excited to talk about the work you do along the way. A favorite metaphor of ours is the mission to the moon: a project that's laudable, challenging, and ambitious. But for us a goal isn't the end, it's the beginning. Working backward from spongy lunar footsteps, one encounters teams of people embroiled in careful planning, strenuous training, meticulous calculations, and continual testing—and that is the true story of the work. The path that connects you from your goals to results, however distant that destination may be. It's more than a platitude (or an Aerosmith lyric) that "life's a journey, not a destination." In work planning, there is often so much focus on the finish line, that you may forget about the thousand steps in between. And scientific research suggests that too much farsightedness can have negative consequences. "Those who kept their mouths shut worked the entire 45 minutes on average, and when asked afterward, said that they felt that they had a long way to go still to achieve their goal. But those who had announced it quit after only 33 minutes, on average, and when asked afterward, said that they felt much closer to achieving their goal." When you articulate your ambitions in public, it can create a social reality where you feel a premature sense of accomplishment. Neurologist Gabriele Oettingen echoes similar findings from her own research, in the New York Times: "Fantasizing about happy outcomes—about smoothly attaining your wishes—didn't help. Indeed, it hindered people from realizing their dreams." Rather than motivate you, thinking about the destination can actually make you work less hard to get there. "Here's how it works. Think of a wish. For a few minutes, imagine the wish coming true, letting your mind wander and drift where it will. Then shift gears. Spend a few more minutes imagining the obstacles that stand in the way of realizing your wish." Much of the communication at Asana consists of assigning tasks to one another. Talk is tethered to something actionable, like a task or project. Starting something new is ultimately an exercise in making obstacles explicit and assigning responsibility for work. We don't make resolutions in a vacuum, so goal-setting and plan-making are synonymous. 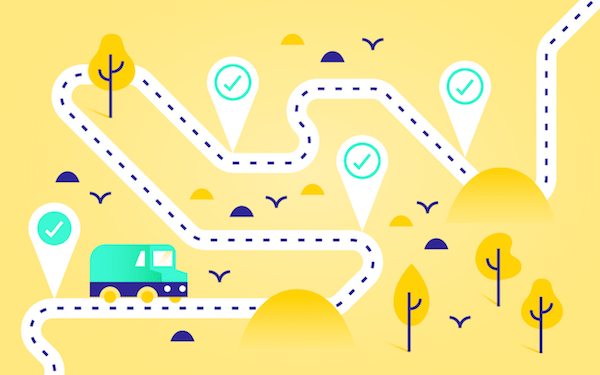 When we create objectives, they're as much map as they are destination: We dive into the details and consider every step along the way. Which brings us back to January. The energy derived from purposeful conversations is valuable, but also take a moment to ask: "How are we going to get there?" Asana's ongoing mission is to help humanity thrive by enabling all teams to work together effortlessly. It's not conveniently nestled in a single task or project. On the contrary, it represents an ever-increasing number of projects, happening now, in parallel and serial—and we've got a long way to go. So we must take our mission and divide it into smaller elements that we can take action on. We have to assign these tasks to one (and only one) person, and give each task a deadline. We need to communicate frequently to move work forward, and continually review our progress to ensure we're headed the right way. This is the process of tracking our work—and we can't imagine achieving our mission without it.